You’ve got to look after your heart, so Autus Web Design & Marketing are delighted to welcome Dr Jeremy Butts, consultant cardiologist to our growing list of valued clients. Dr Jeremy Butts is a highly respected, experienced and qualified consultant in cardiology and medicine, working in the NHS and private healthcare sectors West Yorkshire. Dr Butts delivers cardiology inpatient services at Calderdale Royal Hospital, Halifax, he has a weekly outpatient clinic at Huddersfield Royal Infirmary and he is a key member of the 24/7 regional emergency angioplasty team at Leeds General Infirmary. As a consultant cardiologist with Spires Hospitals in Elland & Leeds, Jeremy specialises in the investigation and treatment of heart-related conditions while promoting a healthy lifestyle through his work as a clinician and as the medical director of the charity Heartbeat of Sport. Anyone who has ever experienced shortness of breath, chest pain or palpitations understands how much anxiety can be caused by cardiovascular problems. Jeremy’s patients are referred with a variety of symptoms. Common reasons for referral include angina, arrhythmia, coronary disease, hypertension, syncope and myocardial infarction. A range of tests can be carried out quickly and conveniently, such as echocardiograms, electrocardiograms. 24 hour ambulatory blood pressure monitoring, exercise testing and Holter monitoring, to help to reach the correct diagnosis. Very often a cardiological problem will respond to changes in lifestyle – once correctly identified and monitored – or to medication. Other procedures including angiograms, angioplasty, stenting, and the fitting of pacemakers are routinely carried out. Many appointment are more straightforward. Jeremy regularly works with patients who are about to undertake an increased level of exercise, either before they join a gym or when they sign up to run a marathon or other endurance event, and he is able to complete cardiac DVLA assessments which are often required for individuals wishing to gain Group 1 and 2 licenses including HGV and taxi drivers. 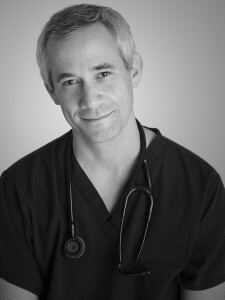 Jeremy is a registered medical provider with most major health insurance companies, If you are concerned about your own health, or the health of a loved one, details of how to make a private referral can be found at www.drjeremybutts.com.